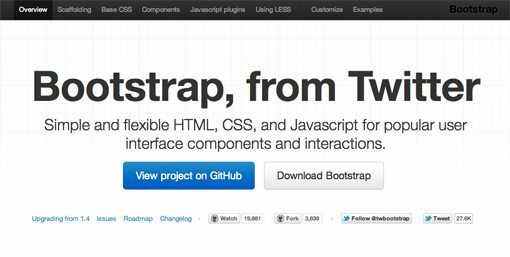 Recently, we published a piece titled 5 Incredibly Useful Tools Built Into Twitter Bootstrap, which took a look at the basic structure of Twitter’s Bootstrap framework and walked you through implementing some of the major components. 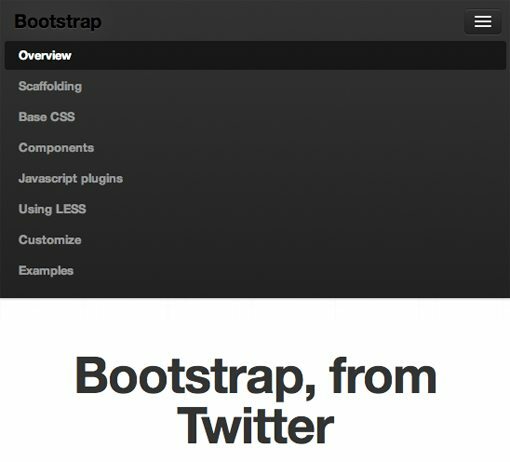 Twitter just released Bootstrap 2.0, an update so large it equates to a near full rewrite. There are quite a few new features and toys to play with, but the real headliner is that the framework is now fully responsive. Join us as we dig in to see how the new grid works and what other cool new features have been added. You’ll learn how to implement Bootstrap in your projects and will also pick up some extremely handy CSS techniques that you can use anywhere. We’ll be talking about several new Bootstrap features today. If you want to see them in action, stop by the live demo below. Demo: Click here to launch. The most major aspect of Twitter Bootstrap is of course that it is now fully responsive. If you’re still labeling the whole responsive movement as a silly fad in hopes that you can ultimately skip learning the requisite techniques, you’re out of luck. Responsive design is well on its way to being a standard practice instead of a “nice to have” add on. 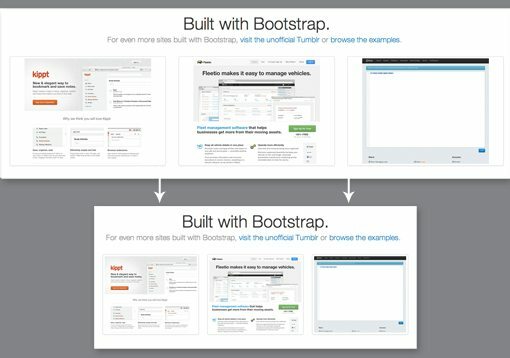 It’s really not as complicated as you might think and tools like Bootstrap make it even easier. 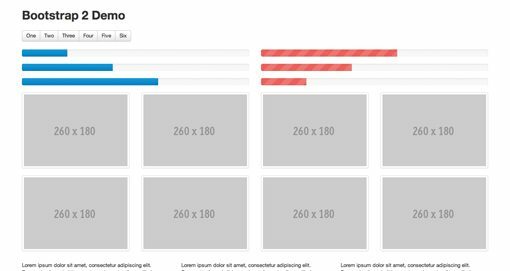 The new responsive grid is twelve columns wide and works much like the sixteen column grid from Bootstrap 1. If you’ve ever used any grid system before, then you’ll feel right at home as there’s nothing too Earth shattering here. The included media queries are listed below, starting at mobile and working their way up. Basically, each one goes in and changes the size of the columns to reflow the layout to something more appropriate for the viewport. The first media query (480px and below) targets smartphones and pretty much breaks everything down to a single, 100% width column. This may be a bit oversimplified for your tastes, but the beauty of frameworks like this is that they’re only suggestions, you’re encouraged to customize to your heart’s content. The next media query targets portrait tablets with a range of 480px to 768px, then up to 980px for landscape tablets and on up to standard desktops and large displays. For the static grid, individual columns start at 70px wide, then jump down to 60px and finally down to 42px before going 100% width for mobile. Interestingly enough, the media queries aren’t included in the default download from the Bootstrap homepage. If you want them, you’ll have to grab the GitHub Download. If you check out the code for the media queries, you might learn a neat trick or two. For instance, the devs have implemented a solid example of the “Arbitrary Substring Attribute Value Selector”, which I wrote about in CSS Selectors: Just the Tricky Bits. Bootstrap has many classes that use the word “span” (span1, span2, etc. ), and rather than typing out each individually, the ASAVS grabs them all in one go with this fancy bit of code: [class*=”span”]. This selector actually digs through the HTML and finds anything with “span” in the class name, regardless of what follows it. Even a class of “spansomethingtotallycrazy” would be targeted. Though the heart of the media queries is to reflow the columns, there’s a lot more going on here as well. The developers have actually taken the time to restructure many of the elements so that they transform as the viewport size changes. For instance, the navigation menus change pretty drastically when you’re viewing on a tablet or smartphone. To see an example, test out the Bootstrap Homepage. 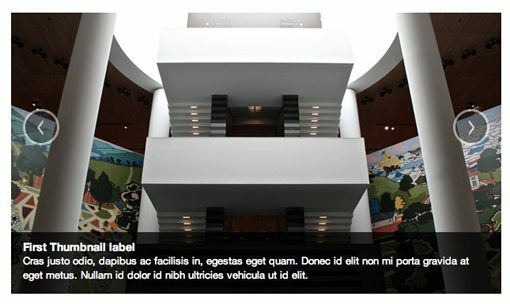 At full size, the navigation menu is a simple horizontal list of text links. On a tablet or smartphone though, the text is cleared out and replaced with a button up in the top right of the screen. Tapping on the button will expand the new menu area. Here we have a vertical list of links, which allows for larger tappable areas. This makes it so that, as those columns and rows resize themselves, the image width will max out at the width of the parent column. Also notice the “-ms-interpolation-mode: bicubic;” line. This is a fairly obscure property that essentially makes image re-sizing smoother in IE. The “width: 30%” here resembles how far along the progress bar will be. If you want to change that to half full, just type in 50%. Button groups are a bit like breadcrumb navigation in that they’re individual buttons that are all smushed together. Normally, this takes a good chunk of code to pull off. Not only do you have to style the general button theme, you also have to make the first and last button different. With Bootstrap, all you need are some links with the “btn” class inside of a “btn-group” div. When a large company like Twitter puts out a free resource, it’s a gamble to actually build your workflow around it. One major issue is that you can’t know for sure how well it will be kept up in the long run. Fortunately, it seems like Bootstrap is, for now at least, a fairly high priority at Twitter. The new version represents a massive amount of time and effort and it really shows. This is turning into one extremely extensive boilerplate. I’m personally stoked that Twitter deemed it necessary to take Bootstrap responsive. This will definitely help further the cause of responsive design that works well across not only all major browsers, but all major devices as well. Leave a comment below and let us know what you think of Bootstrap 2.0. Did you try the first version? What are your favorite improvements? So what IS responsive web design, anyway?